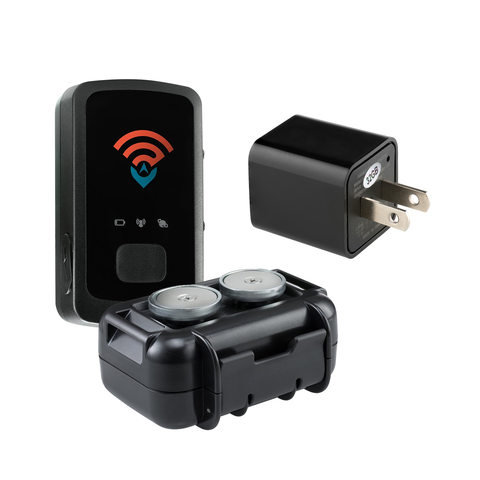 This comprehensive bundle includes a real-time GPS tracker for monitoring people, vehicles, and equipment. You’ll also get a full 1080p HD hidden camera that’s disguised as a USB wall charger for covert home and office surveillance. 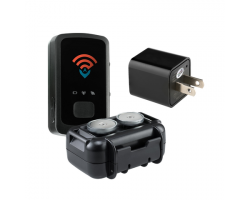 Perfect for concerned parents and business owners, the STI_GL300 GPS Tracker w/ M2 Magnetic Case + USB Wall Adapter Pro Hidden Camera Bundle will give you around-the-clock peace of mind. The USB Wall Adapter Pro Hidden Camera looks and works just like a normal phone charger, so you can record video at home or at the office without bringing attention to yourself. As soon as you plug the USB Wall Adapter Pro into the wall, the camera will start recording without anyone being the wiser. People see phone chargers all the time, so you can leave the camera plugged into the wall for days on end and nothing will look out of place. When monitoring your property, you need to be able to see specific details and faces with as much clarity as possible. The USB Wall Adapter Pro captures full 1080p high definition video, giving you a clear picture of everything that happens in your home or office when you’re away. Even if the outlet sits low to the ground, the camera comes with a wide-angle lens that gives you a full view of what’s going in the room. You’ll always be able to see who’s coming into the room and what they’re doing when you’re not around. This amazing kit has everything you need when it comes to keeping an eye on your loved ones, personal property or employees. From real-time tracking to covert home and office surveillance, you can stay on top of everything that’s happening when you’re not around. Protect what’s most important to you with the STI_GL300 GPS Tracker w/ M2 Magnetic Case + USB Wall Adapter Pro Hidden Camera Bundle.